PamKittyMorning: Holly Does it Again! 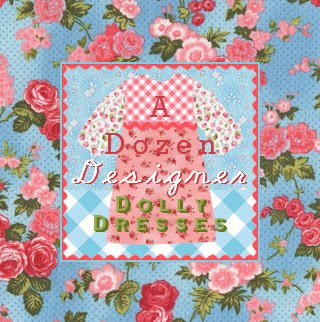 Today is the kick off of the Dozen Designer Dolly Dresses showcasing not only Holly's wonderful new Doll Dresses line of fabric but a baker's dozen of our favorite designers. Be sure and keep checking back with Holly's blog, I know its going to be great! Happy Monday Peoples! Ditto...it is going to be great! Happy Monday to you too! I Love the faric I can't wait to get my hands on some!!! Can't wait to see what's been cooked up with that yummy fabric. Just got my ThimbleCreek newsletter... love, love, love your Minny Muu quilt and soooooooooooooooooooooooooooooooooooo soooooooooooooooooooo sooooooooooooooooooo wish I could be in yours and E's class.